Katla LeBlanc is no stranger to the extraordinary. In fact her everyday life has begun in many ways to mimic that of a somewhat mixed up modern day fairy tale. While on the outside it may seem that she lives a relatively normal teenage existence in the small remote town of Norse Falls, Minnesota, deep down there’s a part of Kat’s life even she can hardly believe exists. You see, Kat is a Stork, a secret member of an ancient society charged with the gift and duty of placing the souls of unborn babies with the appropriate “vessel” or birth mother. A legacy passed down from her Icelandic ancestors, this gift of both prophecy and power is still new to Kat as she learns the ways and beliefs of those who have come before her. And as unbelievable as that may seem, that skill is not the only unique attribute that Katla LeBlanc possesses; her newfound love is also a mythical being brought into reality. Jack, the gorgeous boy who not only controls Kat’s heart but on occasion the weather itself, is none other than a direct descendant of the legendary Jack Frost. Their relationship quickly takes on the force of legend as they find that they seem to be linked by a cosmically powerful destiny; but the powers that bind them are also charged with danger, for their enemies soon emerge. As readers of the first novel in the series will recall, being involved in a romance of magical proportions has its advantages. But can Kat and Jack withstand forces beyond their knowledge? As both the Storks and Jack’s somewhat unpredictable ability come upon hard times, a new and unexpected enemy may threaten not just their love but also the world as they know it. When a unearthly new visitor comes to town, Kat must learn to trust her instincts and get ready for the fight of her young, weird life. In her sequel to Stork, Wendy Delsol has once again beautifully woven modern day life with ancient legends and fantastic fairy tales, creating a story of adventure, romance, and undeniable readability. Ms. Delsol’s characters shine and the world they inhabit manage to feel more and more real as the story gathers momentum. 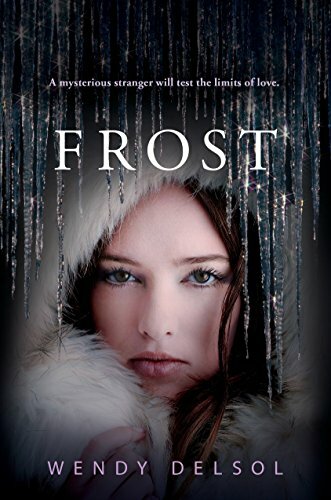 A fast paced and expertly written plot will keep readers enthralled until the very last page of Frost, which will lead, hopefully, to another installment in this superb series. Frost proves to be not only a worthy addition to the series but may even surpass its predecessor. No sophomore slump here.